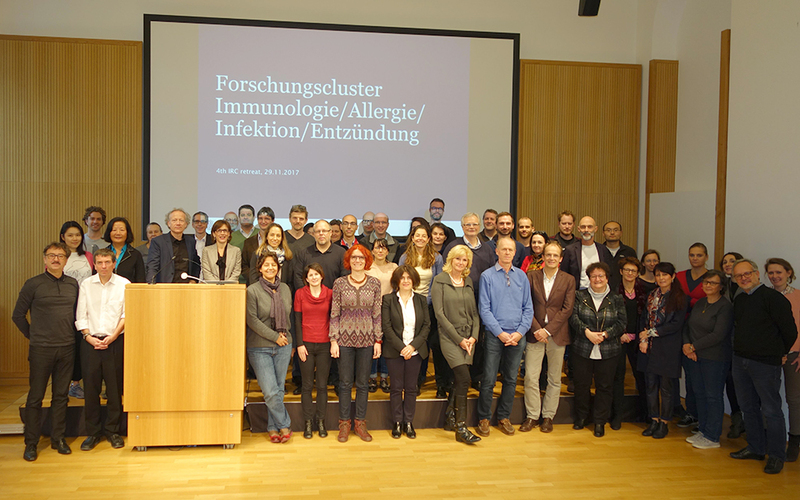 The Research Cluster Immunology/Allergology/Infection & Inflammation (or in short: Immunology Research Cluster, IRC) is a network of more than 80 basic and clinical research groups at the Medical University of Vienna. The overall aim of IRC is to strengthen the research environment and support in the fields of immunology, allergy, infection & inflammation and to foster translational approaches for the benefit of patients. In addition, IRC members are dedicated at providing excellent research and training opportunities for PhD students and postdoctoral fellows. This homepage serves also as an entry point "into the world" of immunology, allergy, infection & inflammation research at the Medical University of Vienna. We are presenting IRC scientists, highlighting recent publications, listing news & events and describing newly funded research projects. Single-domain antibodies – a promising tool on a road to the preventive medicine"
Innovative systems biology-based algorithm for personalized medicine has recently been published by Anastasia Meshcheryakova, Diana Mechtcheriakova and colleagues in a Systems Biology book by Springer.